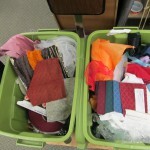 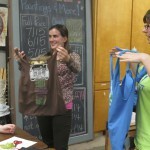 On July 9, a small group of eager participants gathered at the Center for Creative Reuse for the ReMakers Playshop to learn about upcycling, sewing, and sustainability. 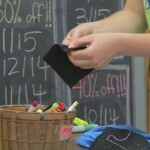 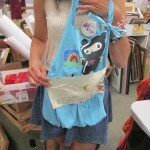 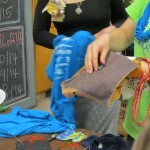 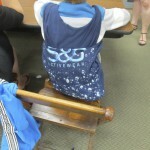 Children ages 10-17 learned how to create a handmade bag using an old t-shirt. 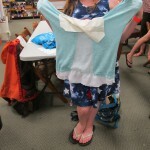 Click through the photo story below for more information. 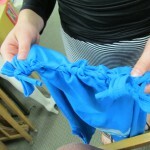 Laura, one of the staff members at the event, accompanied by Rebecca, one of two interns, taught guests how to thread and knot a needle. 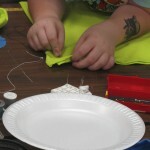 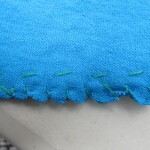 Laura demonstrates a running stitch. 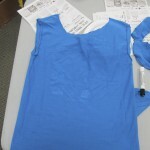 Laura begins the project by cutting off the sleeves on her t-shirt. 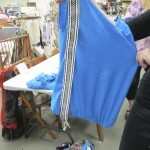 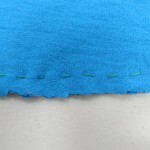 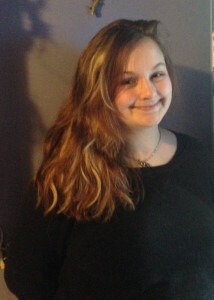 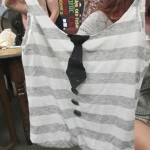 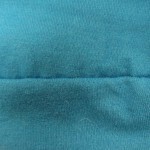 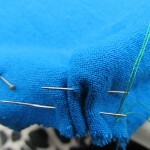 Before sewing, the shirt was turned inside out and pinned along the bottom seam. 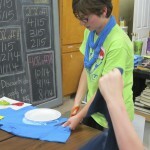 A young participant begins sewing. 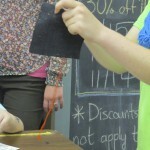 Laura demonstrates whip stitch, which was used to line and reinforce the bottom edge of the bag. 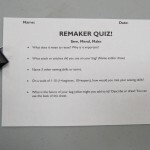 Participants took a small quiz to demonstrate what they had learned.